Of course, goes without saying, one does not use violence, unless one has ABSOLUTELY no other choice. Otherwise, it is a natural question for people to ask: what do you do when an encounter turns ugly? In real life - if you find yourself in this kind of situation - it means that the thug who has decided to come after you now gives you no other choice than to respond with violence. When violence is the answer, it is the only answer! I cannot say this in any other way because it is the truth. If a perpetrator wants to hurt you badly and even worse wants to take your life, well, you will have to commit 100% with all the violence, brutality and savagery you can bring out in yourself. You will have to go all in, until the threat is gone. You have to hit first. Hit fast, hit hard and keep the pressure on until the thug no longer presents a threat. 1. Either you knock the thug out and leave safely. 2. Or, cause him such pain that he no longer presents a threat. 3. Or, the absolute worst case scenario, you will have to kill or get killed. Hopefully, you will never end up in any of these situations, and especially in a scenario where the outcome leads to somebody being killed. However, you must be willing to go all the way, if need be. Let’s say you wake up at 02:00 and someone is in your home. You have to assume that he/she/they are going to take your life. Can you guarantee that he/she/they will not? But like I wrote in the above, when the presence of this threat escalates and it is about to rain down on you, this is the moment when you know that your last resort has to be violence in return. This is your moment of truth, you have tried everything to escape without confrontation, including running away. No one else is around to help you. Only you. You have no other choice, you have tried everything to avoid and remove yourself safely but now you must respond with violence. It is the only thing available to you, that will save your life. 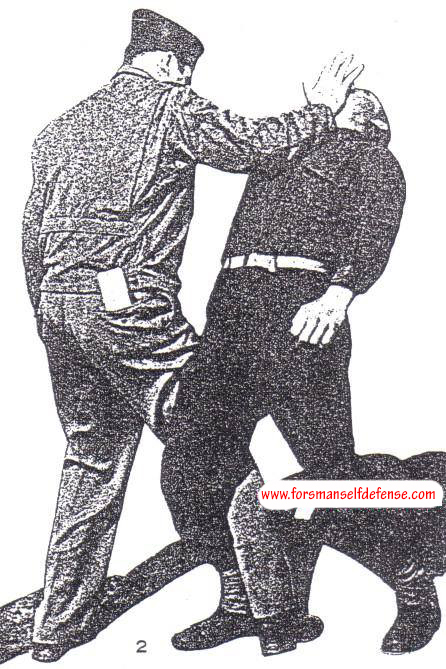 When I teach self defense at my courses, I always begin with theory. The first thing I will talk about is personal development, leadership, moving boundaries, strengthening your self confidence, self esteem, believing in yourself, etc. I will talk about preventative measures. The best self defense is to not even be there in the first place. Many people put themselves in very dangerous situations, either because they do not think ahead, they are very novice, or because they think nothing will ever happen to them. Could also be stupidity, or ego. Thinking that no one can beat them up, etc. Many murders, beatings, rapes, robberies etc. could easily have been avoided, had the victim not put him/herself in that dangerous situation to begin with. The question is: What do we do if we end up in a situation anyway? We know that we cannot avoid going about our lives as normal .. like going to the store, waiting for the bus, going to a restaurant, walking down the street, etc. What we can do is develop ourselves personally and be prepared. Personal development of participants lies at the heart of my training. It is essential that time is spent on this. When you are trained properly in good, reality based self defense, personal development is a natural take away. What lies at the core of my training is an emphasis on building a positive attitude and helping you to see why this is important as you advance - from protecting yourself, standing up for yourself, to achieving life and all the things that you want to pursue and achieve. I will help you to move your personal boundaries and to build a stronger belief in yourself and your self image. I will help you grow in self-confidence, and I will help you bring out your capability for leadership and to think more like a winner. In a regular 6 day basic course, I dedicate the first day to talking about the theory and practices you will need to ready yourself for the next stage of your life - in your personal development and of course to lay the groundwork that will help you protect and defend yourself in the future. What I teach is very easy to learn. The “tools” that I will give you are very simple to use and VERY effective. But, these will do you no good if you do not have the correct mental attitude. Basically, it does not matter what and/or how much one knows. Truth is, if you don´t have the correct mental attitude, you are screwed anyway. You will not be able to use any “tools” because you will freeze up and go into denial. You will not have that instinct to win and survive. Another example of this are people who might buy firearms for protection but with no knowledge or experience behind them. Pulling that trigger is very easy, but still people manage to be killed by their own firearms. Why? It is because they have received no training or improper training and that includes being trained mentally about handling a firearm. In these situations, they freeze during a confrontation and next second, the thug has possession of their firearm. It is VERY important that one trains properly and honestly. Above all, one MUST train realistically! For the real thing. Do NOT train for fantasy or film - that is choreography all planned down to the finest detail with stops and starts for camera man to take new angles and re-takes and then it is all edited together on a computer. IT’S NOT REAL. A real life encounter is brutal. The situation is not planned out, that is for sure. It is unpredictable - total and complete chaos. If you find yourself in this kind of situation, you need to be ready with all faculties. You WILL do what you have trained, or not trained. Forskare har idag erkänt att kvinnors våld mot män är mer vanligt än tvärt om. Ingen ska behöva bli mobbad. Le och var glad ... ja det har räddat mig flera gånger ..
Vad är din ursäkt för att inte träna? Varför finns det ett motstånd bland vissa människor mot att lära sig självskydd?